Solar energy: Solar Plant 1. Warner Springs, California. Solar Plant 1 was the largest privately funded solar powered electrical generator in the world when it was built in 1984. Built by LaJet Energy Company of Abilene, Texas , SolarPlant 1 is a five megawatt distributed receiver facility. There is no central tower to soak up sunlight reflected from a broad field of glass mirrors. 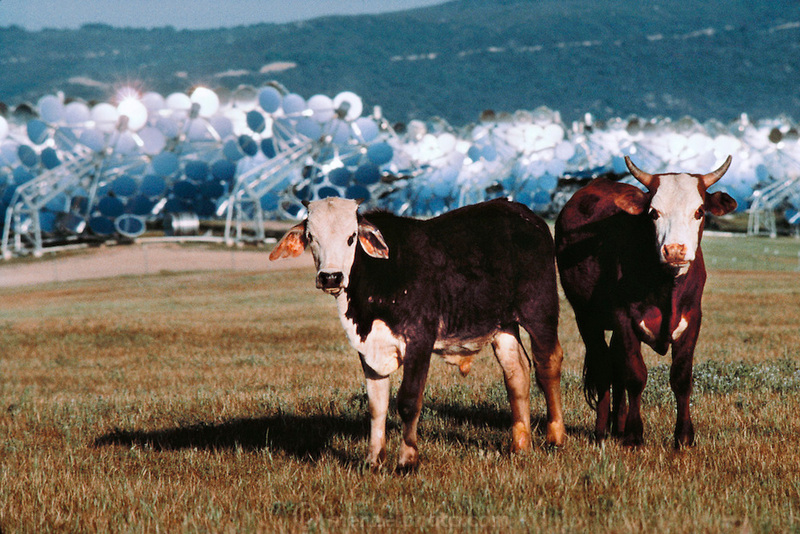 Instead, each of the 700 concentrators--consisting of 24 plastic mirrors kept in shape by a vacuum pump- reflects sunlight into its own receiver. Water is pumped through the receiver, which turns to steam to drive a turbine to produce electricity. (1988).